On July 23rd, 1985 the Commodore Amiga was first introduced to the world in a huge launch show demonstrating the then unheard of capabilites of this new 16-bit generation of personal computers. It could do things that are totally common today, but were almost utopic in 1985 – not even the first Apple Macintosh, released a year before, was able to deliver what the Amiga did back then. Although this marked the commercial release of the Amiga 1000 and the later, much more popular Amiga 500 and 2000 only appeared two years later, it was the start of a revolution – the first true multimedia computer was born. The video embedded below is a recording of the famous show at the Lincoln Center in New York exactly thirty years ago – it was a somewhat pompous event, but it delivered the goods. Andy Warhol painting a digitized image of Debbie Harry is maybe the most memorable part of the show, but everything else is actually a very fair and unexaggerated demonstration of the computers abilities. Remember, this was 1985, only three years after the Commodore 64 was introduced! I think it may be time to write a big Amiga article soon. My own Amiga 2000 is still in good working condition, although the second floppy drive and the harddrive are broken – but the computer itself still works! The last couple of days have been nothing short of amazing. Until only a week ago, Pluto had been literally just a small blob of pixels to humanity since its discovery eighty-five years ago by Clyde Tombaugh, but then New Horizons made its approach to the former planet. Even before the actual flyby, Pluto and its Moon Charon were transformed from pixels to detailed photos, which brought many surprises and some poignant visual allusions, like the now famous heart – which also looks like a certain dog! It’s been incredible and maybe the most exciting thing in uncrewed space exploration since the Voyager missions in the 70s and 80s! 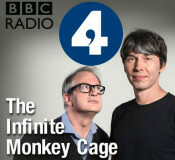 Every time I write about The Infinite Monkey Cage, the brilliant science-comedy radio show from Brian Cox and Robin Ince, I begin with “I can’t believe I missed it again!” and this time will be no exception because I really hadn’t noticed that the first new episode has already been online since Monday! Those are the live shows that were recorded earlier this spring during their US tour, so they are going to be even livelier and sillier than before. There will be five more episodes, broadcast each Monday on BBC Radio 4 and afterwards the extended versions will be available on the web as usual – which is the better way to listen to the episodes. Note that the podcast website has been completely revamped and although the runtime always says 30 minutes, these are still the extended podcast versions and not the truncated half-hour radio broadcasts. The archives have also now been extended to the previously unavailable series 1 and 2, so now you can download all the episodes from the beginning on or catch them with your favourite podcasting software on your phone or tablet. And of course there’s also the wonderfully funny title song for the series that Eric Idle recorded some time ago! I feel somewhat obligated to at least post one article about the New Horizons mission, because next to the Rosetta and Philae comet landing the Pluto flyby is easily the most exciting thing happening in space exploration this year. I’m not even going to attempt reporting about the mission in detail because I’m not a journalist, but instead I will try to make some recommendations where you can find the best journalism and information about New Horizons. • New Horizons Main Site – This is the official mission website. • New Horizons NASA Site – The NASA website for the mission. 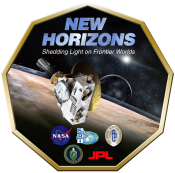 • New Horizons Youtube Channel – All the video series and hangouts of the mission. • Emily Lakdawalla from the Planetary Society is one of the best sources for NH. • Universe Today has less breaking news, but more in-depth articles. • New Horizons – The official NH Twitter feed directly from Alan Stern. • New Horizons NASA – NH Twitter feed from NASA, mainly retweets from other accounts. • Alan Stern – NH’s Principal investigator. • Joel Parker – NH’s Co-investigator. • Amy Shira Teitel – Embedded in the NH media team and making Pluto in a Minute! • Emily Lakdawalla – Breaking news from the Planetary Society writer and blogger. • New Horizons Bot – Automatically tweets new images from New Horizons. I put all of the above into a Twitter List and I also recommend my larger Science & Astronomy and Spaceflight lists, which will probably full of Pluto and New Horizons soon. And because the Weekly Space Hangout and Astronomy Cast are both on summer break right now, have a look at the WSH Crew Google+ Community, where we will discuss and post the latest space and science news! And I think that’s all for now – good luck New Horizons! 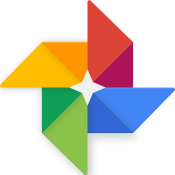 At the end of May, Google had unveiled its new Google Photos service at the I/O conference. This came as no great surprise, since there had long been rumours and hints that the photo section of Google+ would be spun off into a separate product as a competitor to Flickr, Facebook & Co – and the results are okay, but the spiffy new web interface and mobile app are still a long way from being perfect. I’ve been using Google Photos in the last couple of weeks a lot because I post my photos not only on my own website, but also over on Google+ as well and while I’m overall somewhat impressed, there are still some minor problems and limitations. Here are some observations, complaints and tips how to make the best out of it.